1965 World Series or "only losers use relievers"
'Tis true. 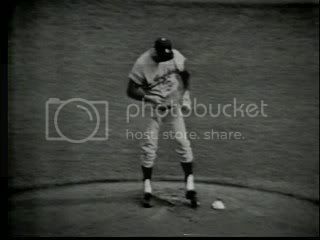 The 1965 World Series, the first of which to be played in an expansion city, featured the winning pitcher in every game throwing a complete game. In the kinescope era, there are a handful of pre-1965 World Series games available. Most of these consist of Yankee games. A few games from 1952 and 1955 vs Brooklyn. We discussed before the 1957 series Yankees vs Braves, in which most of Game 3, 4 and 7 are available with snippets of Game 6 as well. 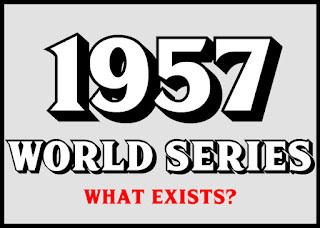 However, 1965 marks the first World Series in which we know that the entire series is available via kinescope recordings. In fact, after 1965, 1968 is the next oldest complete series available. We will discuss that another time.